Scientists, including one of Indian-origin, have identified a new mechanism that helps us detect salty taste, an advance that may help develop salt replacers or enhancers to reduce sodium content in our food. “Understanding more about the mechanisms involved in detecting salt taste moves us closer to developing strategies to reduce the amount of salt in our food while still retaining the salty taste that people enjoy,” said lead author Brian Lewandowski, from the Monell Chemical Senses Centre in US. 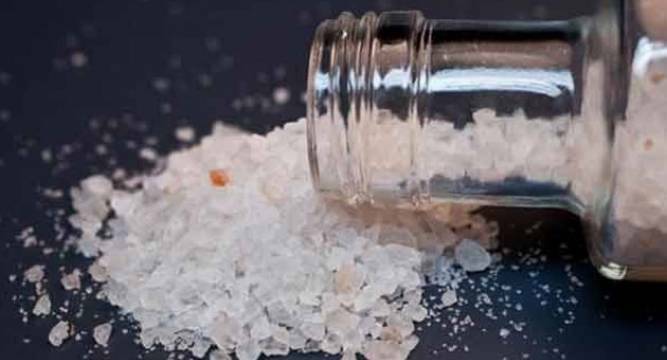 ‘Salt’ is a chemical term that describes a compound made of positively and negatively charged ions; the most well-known example is sodium chloride (NaCl). The primary process by which mammals detect NaCl, common table salt, occurs via a sodium receptor known as ENaC (epithelial sodium channel). The ENaC receptor responds to sodium (Na+) salts and is not influenced by the salt’s negative ion (Cl-). However, scientists know that a second salt-sensing receptor also exists, but much about this receptor, including its identity, remains unknown. Like ENaC, the second receptor detects sodium salts, but it also is sensitive to non-sodium salts such as potassium chloride (KCl), which is frequently used to replace sodium in foods. Unlike the ENaC receptor, this second receptor for salt taste is affected by the size of the salt’s negative ion such that salts with smaller negative ions taste more salty. For this reason, sodium chloride, a salt with a small negative ion, tastes saltier than sodium gluconate (Na(C6H11O7)), which has a very large negative ion. Researchers, including Sunil Sukumaran from Monell Centre, identified the taste cells involved in this second salt taste mechanism and increased understanding of how they function. The scientists used a rodent model and isolate single living taste cells. They then measured the isolated taste cells’ responses to different salts to classify the cells and identify those involved in the second salt pathway. The isolated second pathway cells were found to be a subset of what are known as Type III taste cells, which are also thought be involved in detecting sour taste. Subsequent experiments with the isolated second pathway cells showed that negative ions still influenced the cells’ response to a given salt, with the effect of the negative ion remaining dependent on the ion’s size. Thus, unlike the ENaC pathway, both positive and negative ions directly interact with cells involved in the second salt pathway to influence how these cells respond to salts. By knowing which cells to study and more about how they interact with salts, the team can now focus on determining the identity of the second salt receptor. The findings may help identify alternative approaches to activate salty taste and alleviate the negative health consequences of sodium overconsumption.